CCTV Security Sysyem packages today come in different prices with options that meet the specifications and requirements of our budget to install. Some cameras (CCTV) that correspond to small businesses, while for large companies, you need to optimize the products appropriate to the nature of the business itself. Regardless of the CCTV package that is your option, it's best to make sure it's worth the money you spend. Below are important tips when selecting a camera surveillance system (CCTV) in your home or office. 1. Camera resolution video quality with balanced brightness levels is an important feature to be considered when you buy a package of CCTV for businesses. Availability of this feature depends on what the price of CCTV and surveillance system for home or business that you need. 2. You can make the camera resolution (TVL) is high for good picture quality. For example to check the specification of camera resolution TVL (Television Lines) normally used by the camera "Analog" today. The higher the TVL camera, the better the quality of the image produced. 3. If you find the picture quality is good, it's best to choose a camera with 600TVL capacity and above. If it's below that, the picture quality will certainly be less favorable (usually too bright or dark). But depending on your budget, its difference is great, but the difference is only a few hundred of your investment only. 4. An important feature of recording (DVR) CCTV today allows you to access directly (Live Streaming) via a computer at home or office, and if you have Internet on the smartphone. 5. The addition of features like "Live Streaming" allows you to see the actual video in any activity which is likely to take place on the premises, even when you are away. Real-time video allows you to activate the security alarm system for police assistance immediately. 6. In addition, CCTV for businesses to provide safety for staff and clients during working hours. 7. After business hours, CCTV serves to further protect your premises and property even if you are not there. Night CCTV surveillance system comprising a night vision feature. In today's camera "Infrared" or call (IR) is very suitable for night surveillance. This type of camera can capture images even in low light. Even in the darkness, night vision cameras are very important because, the intruder can capture images and activities that violate the law they do on our premises. 8. Consider investing in a CCTV camera if you need a waterproof camera for outdoor surveillance permis. Surveillance camera system is ideal when faced with situations of environmental hazards such as weather uncertainties wind and rain. Clarity and definition of images can be maintained if the CCTV camera is waterproof and it tiaks susceptible to damage caused by rain. 9. Make plans early to ensure space and spot cameras needed. The number of cameras depends on the conditions and the space that you want to watch. If your premises on houses and shop houses, enough only for two or four cameras. "Channel Four" CCTV is a product suitable for the premises. The price includes installation of RM1600 and above in the environment. 10. Depending on the type of camera and camera park planning. For detached houses and bungalows or business premises were multilevel and large, "Eight Channel" CCTV is sufficient for you. For larger business premises such as factories that have the ample work space and overlap, you can consult with your safety consultant for the package until it is 64 to 16 cameras cameras. 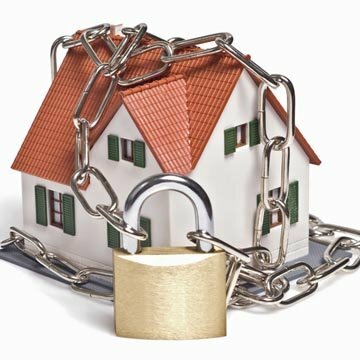 As they want to invest in a home security system, let's review the CCTV package here www.drumah.com.my and spesifikansi and compare the offer price, which was provided. Follow the next article, how to increase the value of your home with the easiest and cheapest way.